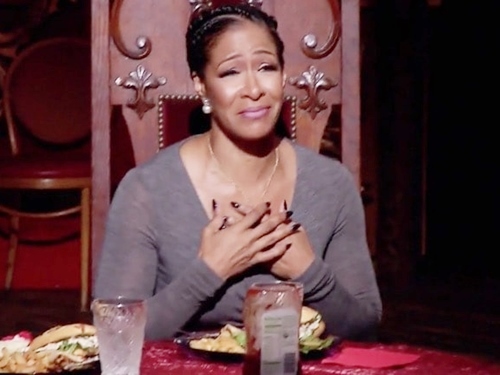 I am one of the few people who fall into the rare cross section of Real Housewives of Atlanta viewers who are both Sheree Whitfield and Kenya Moore fans. I know that they cannot stand each other and I should probably pick a side, but I just think that they are both so shady and entertaining. 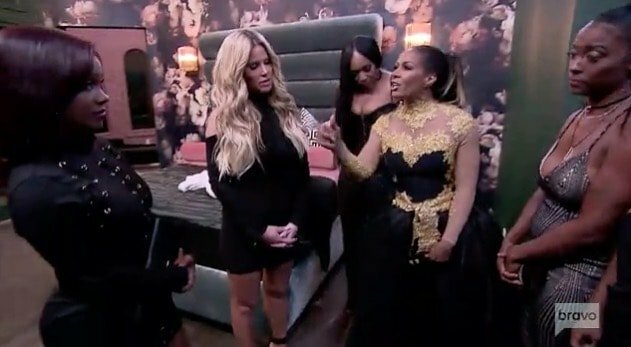 After two years of shading each other’s Atlanta mansions, I would have assumed that they were going to go in on each other at the Chateau Sheree housewarming party, but Kim Zolciak randomly showed up and came for Kenya- hard. Now I’m just hoping that the real estate-related shade has come to an end. I’m ready for a new story line. Last night was the season finale of a very, well, bizarre season of Real Housewives Of Atlanta. 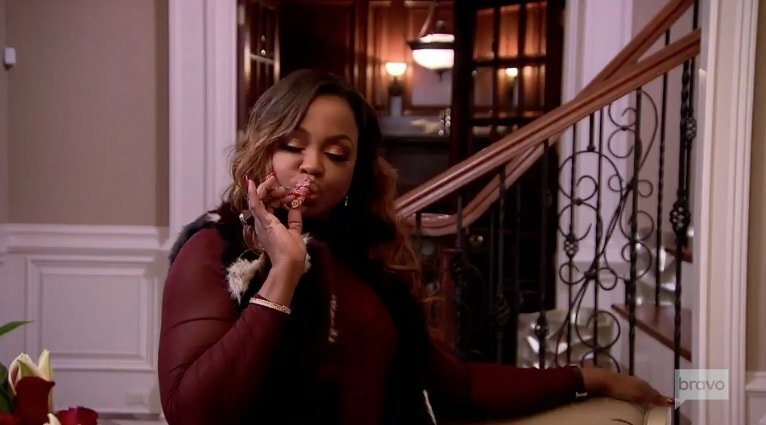 Thankfully we didn’t relive Lesbian-Gate – we’re saving that for the reunion – but we did witness the official end of Phaedra Parks and Kandi Burruss‘ friendship. Something else happened… Something big, I think… Oh what was it? Hmmmm… OH! Chateau Sheree. Yep, it’s up and running. Almost. We barely saw Cynthia Bailey and Porsha Williams – they were mere extras to the drama. That’s the way the cookie crumbles, I guess! Speaking of cookies – you cannot bake them in Sheree Whitfield‘s kitchen. Let’s be honest – the only thing any of us remember from last night’s Real Housewives Of Atlanta is that Apollo Nida‘s prison fiancé Sherien Almufti appeared at the opening of the OLG Restaurant – and she’s everything a villainess side-chick should be. The worst (or maybe best) is that Phaedra Parks conveniently wasn’t even there to see her! But first all the drama that came before. Kandi Burruss and Todd Tucker – two control-freaks don’t make a restaurant! The OLG Restaurant is weeks away from officially opening and $100,000 over-budget, but Todd will not accept any help. He is the little man that could … and with his big forehead he thinks he can sneak traffic cone orange chairs right under Kandi’s nose. She is not impressed by his Todd: Party Of One attitude. Case in point, Todd refuses to allow Don Juan or Carmon to help make decisions, even though there are no uniforms and the logo hasn’t been finalized with less than 24 hours before their soft opening for friends, family and television cameras. And don’t even get Kandi started on how the floor is so dusty it looks like it belongs inside Chateau Sheree! 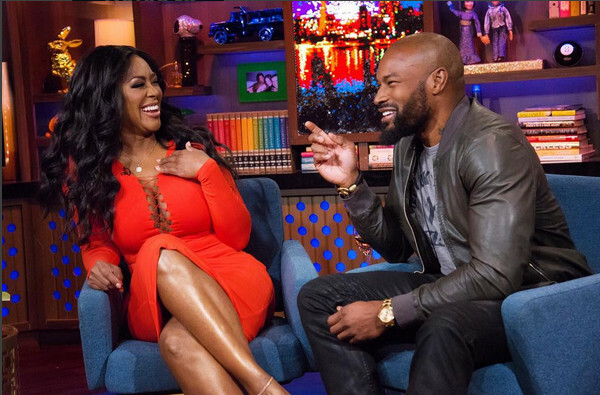 It looks like Kenya Moore is going to have the last laugh in this situation. No matter how much Sheree Whitfield fronts about the baseboards in Chateau Sheree, no decorative feature is going to cover up the fact that there are well-documented financial issues surrounding the house. Even though she (somehow) gets away with never addressing her financial situation on the show, Sheree is in (even more) trouble these days when it comes to financing her home – that she may or may not actually live in. She is “reportedly” facing $350,000 in tax liens. Most people would hate to be known as someone who shares confidential information and spreads gossip, but Sheree fully embraces this reputation. And you know what, I get it. There really are no “private conversations” when filming a reality TV show, so she might as well get people talking while they’re filming the show instead of waiting to confront every single conversation topic during the reunion episodes. Plus, real talk: it ensures that Sheree is hired back next season. Sheree is basically an onscreen producer at this point since she’s controlling the main story lines this season. 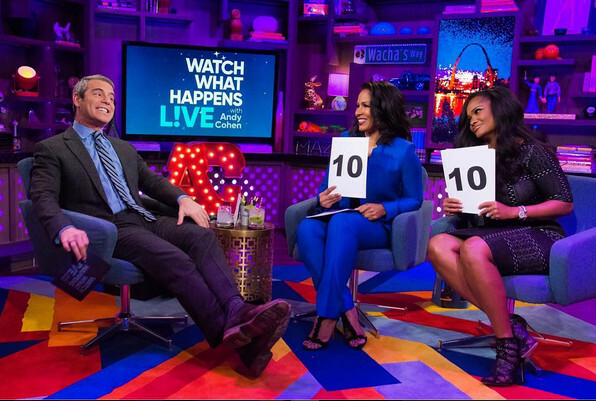 Married to Medicine star Dr. Heavenly Kimes and Real Housewives of Atlanta‘s Sheree Whitfield hung out in the clubhouse last night with Andy Cohen. 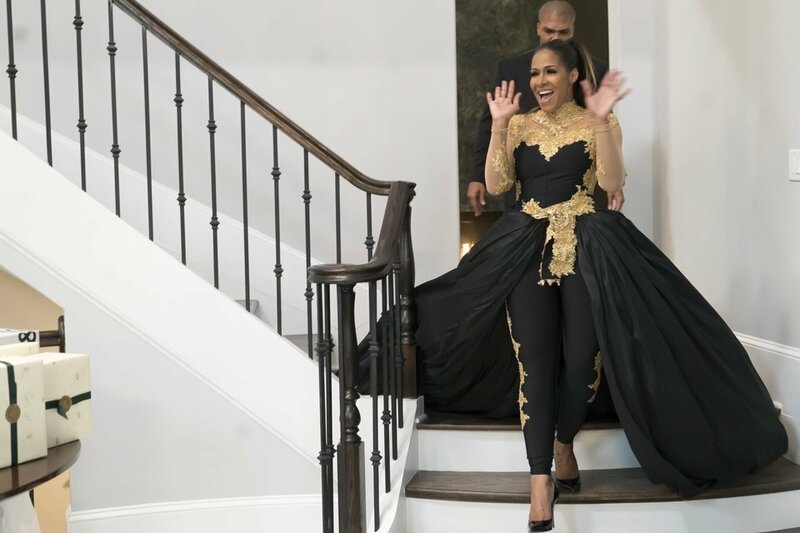 On the episode we get answers to: Is Sheree Whitfield living in Chateau Sheree?, Who is the shadiest Married to Medicine cast member? and so much more!